VEDALAB focuses on the development, production and marketing of in vitro immunodiagnostic reagents and instruments. Its product range includes quantitative and qualitative rapid tests and reader for the quantitative interpretation of immunochromatographic qualitative rapid test cards. 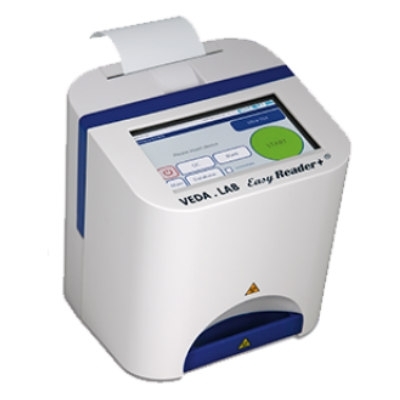 The EASY READER+ is designed for the quantitative interpretation of immunochromatographic qualitative rapid test cards. It features the most advanced and up-to-date technologies, including touch screen, enhanced memory, and internet upgrading, among others.